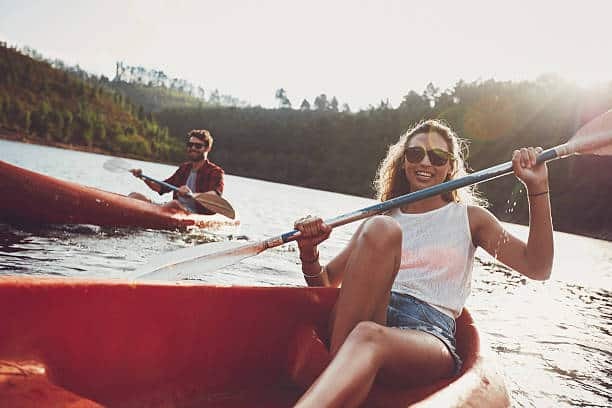 If you’re the kind of person who doesn’t see the appeal to being out on the water on your own, or if you’re a mom or dad and want to take your kids out, too, then a tandem kayak may be right for you. 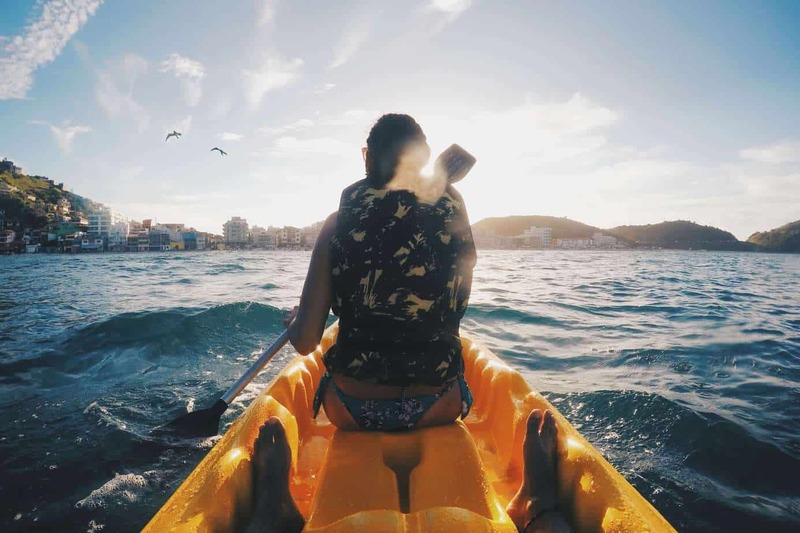 Tandem kayaks continue to pick up popularity year over year and are being used for every purpose you can think of. Whether it’s mom and two kids or someone who just wants to bring along man’s best friend, a tandem kayak provides everything you love about being out on the water in a small craft with the ability to share in that joy with someone else. Like all kayaks, tandem kayaks come in all lengths, weights, and prices. 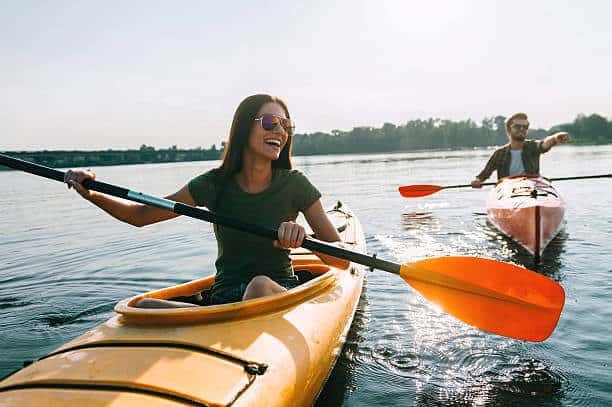 Based on the features and ratings found around the web, here are some of the top tandem kayaks that are out there, and why they are so great! The Ocean Kayak Malibu Two is a very popular kayak among tandem kayakers. It’s still lighter in weight at only 57 pounds but provides ample weight capacity of 425 pounds. You can put an infant in the middle between the two seats, technically making this a 3-seater, but what it has in seats, it lacks in storage. Other than the bungee ties at either end, there is no additional storage on this 12-foot dual-docker. The Old Town Dirigo 155 will draw in kayak lovers with its classic sit-in design. If you enjoy the feel of a traditional kayak, this may be the perfect one for you. The Dirigo 155 has storage in the front and back, one cubby and one bungie tie. It also comes with an optional removable third seat for an infant. Its weight capacity is 450 pounds, and will be easy to haul around with a friend with a weight of 72 pounds, spread out across its full 15 foot length. A dash tray and cup holder will help you bring along some snacks for your trip and built-in paddle holders will free up your hands for fishing or nature watching. The first inflatable on the list is the Advanced Frame Convertible Kayak from Advanced Elements. The Advanced Elements inflatable is 15 feet in length and can be used solo or with a partner. Its high-quality aluminum ribs provide support and stability, while it’s multi-layer construction can allow you to rest easy, knowing that durability was the first thing they thought of when designing this boat. In addition to the standard open deck, there are optional deck attachments available that will close off the deck for two paddlers or make it a single paddler kayak. This boat is both light weight and versatile, not to mention easy to carry around, as you can bring it to the shore put together or pack it in its own bag and construct it once you’re there. Calling all professional kayakers! This is the one for you. At a hefty $3,000 price tag, this bad boy will get you into the championship games, provided you have the talent to fill it. Made of carbonlite and weighing 73 pounds, this 18-foot beast will carry you and your friend, regardless of size, for miles through the waters of any lake. Its weight capacity is 600 pounds and it has four storage areas: two hatches and two bungie ties. There are foot controls for a built-in rudder and the seats are arguably the most comfortable you can sit in. This one if definitely for the professionals, but if you can afford it, you will not regret it! Canada’s gift to the world of kayaking is surely this pricey jewel right here. Meant to be taken out on the open sea, the Delta Kayaks 20 Tandem is almost 20 feet long and can carry up to 700 pounds. The built-in rudder features foot controls and lock system to disable it. The entire craft is made from Thermoformed ABS plastic and weighs 82 pounds, surprisingly light considering its length. The hatch covers are hard-shelled with neoprene seals, ensuring your gear and goods stay dry. This boat was meant to take you to the wildest of places, whether it be a day trip or an entire weekend. In addition to functionality, the top is coated with Acrylic Solarkote, making it immune to UV rays and keeping it bright and shiny for years to come. So Which Kayak is the Best One for You? What is my budget for buying a kayak? Will I always be kayaking with a friend or family member, or do I want a kayak I can take out on my own? Do I want a solid kayak (plastic, fiberglass, carbonlite) or do I want an inflatable kayak? Begin able to answer those questions, especially the first one, will put you in a good place to find the exact match for you and your family. Take time and do research and you’ll be in the water in no time, sharing the world with someone close to you!